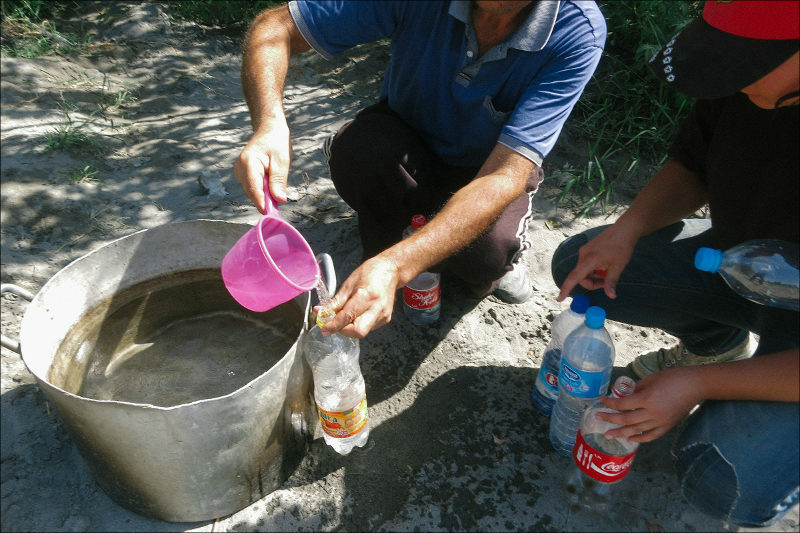 The authorities of Uzbekistan relentlessly try to convince [others] that doctors, educators and their students volunteer to travel and contribute to agriculture activities every autumn. Also, [the authorities claim] these people’s sincerest patriotic enthusiasm motivates them to easily replace their routine work or studies in a heartbeat for “romantic” zeal of “white gold” collector to fill in the abysmal cotton collectors. What governmental orders and decrees or coercion can be a discussion topic? Yet, critics of the incumbent authorities continuously maintain forced labour and extortion are rampant on the part of state officials; the conditions of living and food are slavish; diseases and traumas are ubiquitous, while death, too, occurs among the cotton-pickers that have been pulled out of civilised life and thrown onto the “cotton front”. But who is right? 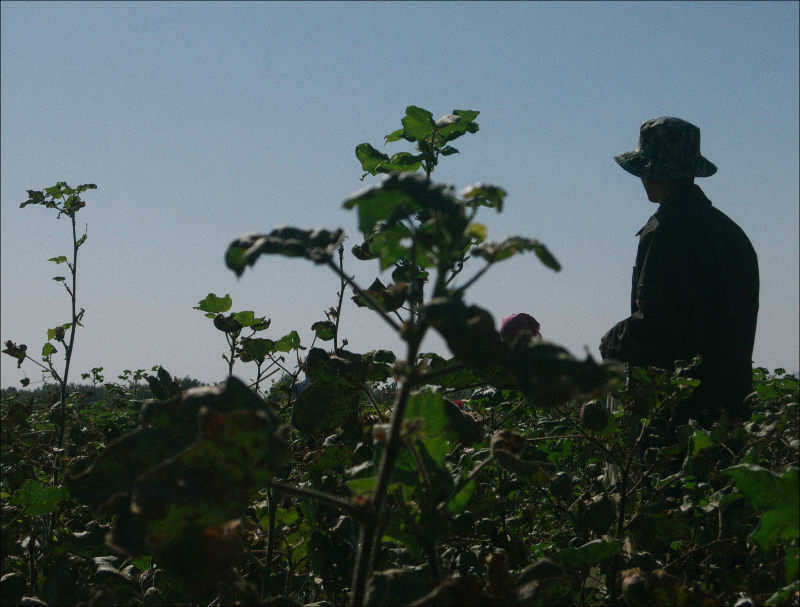 In order to get to the root of the problem and experience a personal encounter, photojournalist Timur Karpov travelled to a cotton field from his native Tashkent. The descriptions, images and experiences are of the author. Almost everything I heard before from others did come to life, except children on fields and amazing white cotton landscapes. 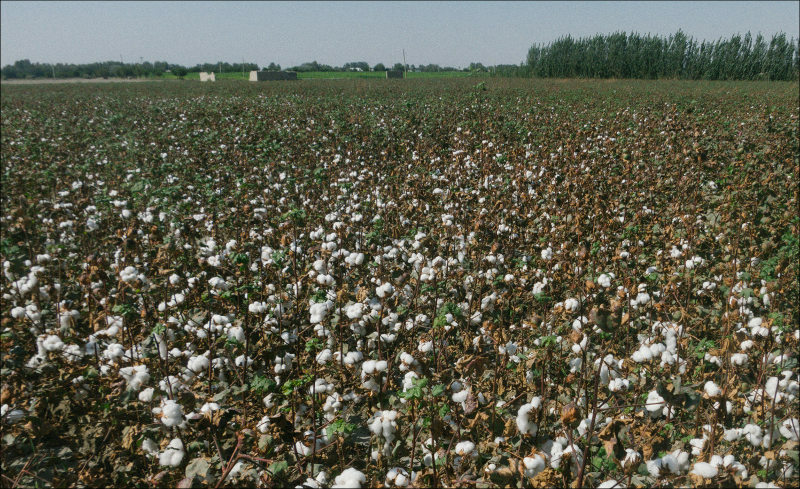 Cotton is not really beautiful, simply put. By the way, I actually did see kids—on road shoulders. They were walking along cotton fields in their school outfits, which made me very happy: at least one category of residents is not pulled out of their natural course of life. What I was genuinely saddened by was the fact that people think of forced cotton-picking as of a norm. 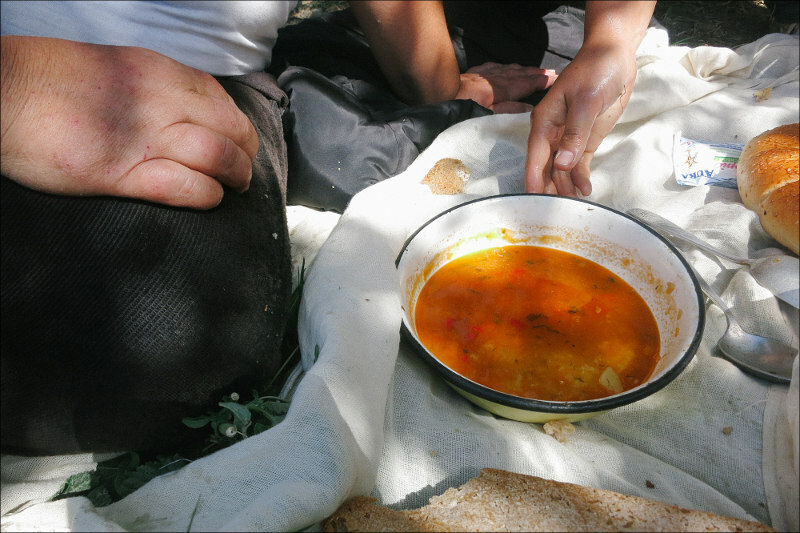 We left the city [of Tashkent] early in the morning. The first thing that caught my attention was a checkpoint with beefed-up measures. The checkpoint is a regular police checkpoint, but now manned with five to six times more police than normally. One would regularly see one or two officers hanging out there, and—all of a sudden—10 to 15 cops! We drive past this checkpoint and encounter another one (a smaller one) in just about half-an-hour ride; yes, this one has been manned by additional force as well; so were the next two after this. Each checkpoint sported banners that informed about cotton in one way or another. 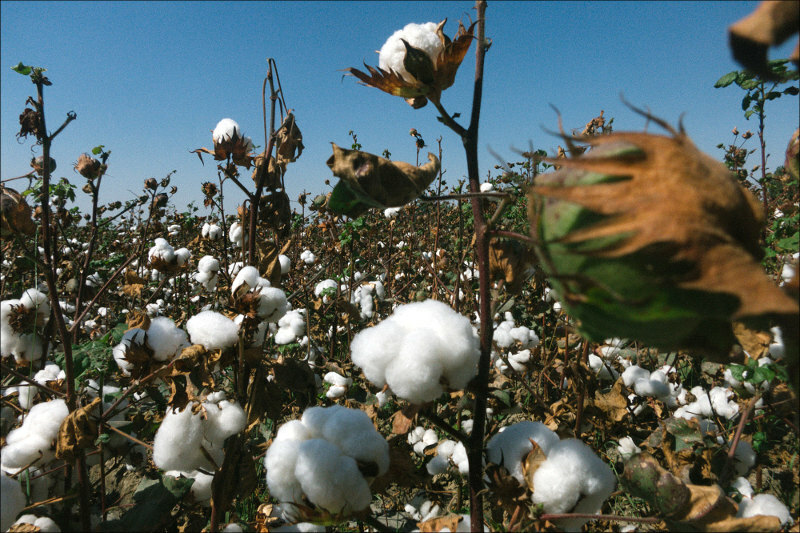 For instance, one banner featured a fire-fighting vehicle and a smoker on a cotton field; the title read something like, “Cotton is a national treasure and it must cherished”. At one point we found ourselves in a very slow traffic—50km/hr. As we later learnt, there were several buses ahead of us followed by a police car, which was preventing any other car from taking over the buses. That said, all intersection on the buses’ route were blocked [by more police cars]. We finally arrived at our destination and could only peruse a school building (we were not allowed to enter it) where everyone lives at this time. There was a monument in the form of a piece of technology I was unfamiliar with, which was mounted on a plinth. But I am sure it had something to do with picking cotton. Then we went onto a cotton field. Every single person I discussed water and meal with would complain about them. That said, those citizens that could afford different meals would buy it at a store 20 minutes away from the field. Yes, they have to spend their own money to buy that better food. 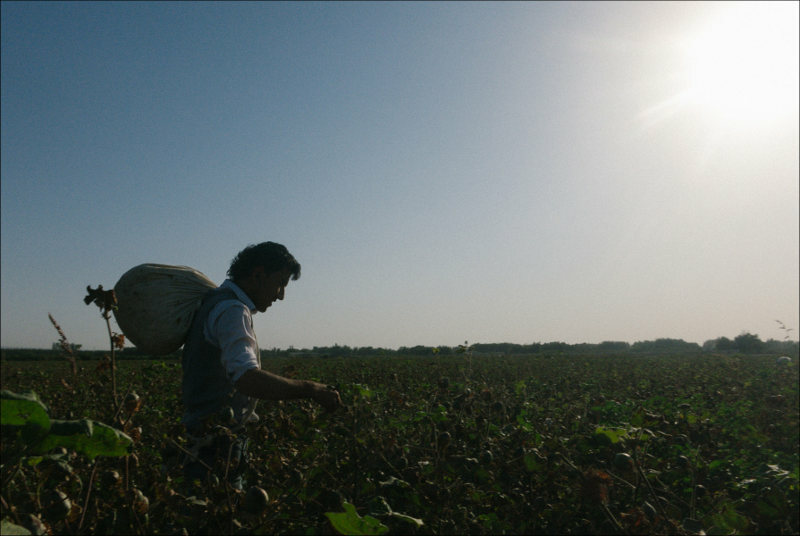 Some friends took us to the cotton field to show the proper way of picking raw cotton. Several minutes later a very important looking and vociferous person shows up with a large phone with retractable antenna accompanied by an assistant (who looked just a little less important, but did have a folder in hands). The more important one started yelling at us, “Listen, everyone go to their places now! Where is your spot?” In an attempt to avoid stirring suspicion, we submitted to his will and occupied a spot at the other end of the field just like everyone one else there. As I was told, we all were part of the so-called “first wave”: the groups of people collecting cotton although it has not fully blossomed. There will be at least four human “waves” on this field before the season ends. I must make something clear: people would get rather anxious when I took their pictures with my smartphone although I was quite friendly, smiled and joked. 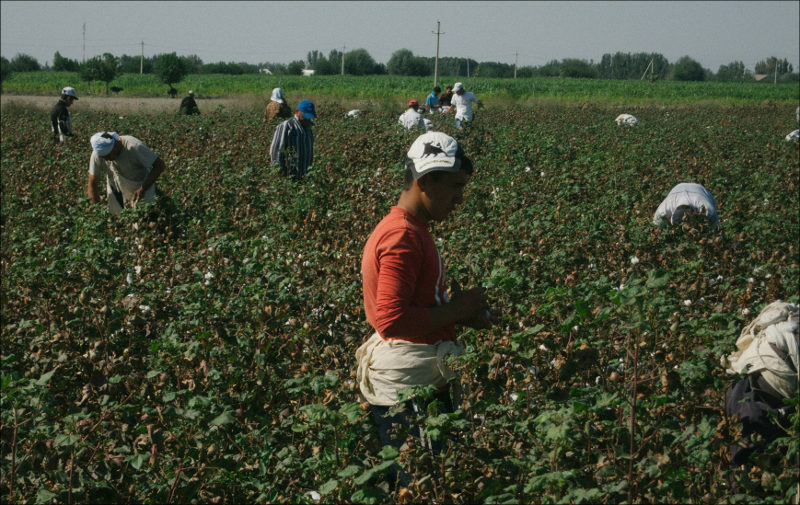 And the response to a phone camera pointed at the cotton collectors was very negative: I was asked to delete images and they would cover their faces, saying, “Everything will be on the internet”. (Yes, they will be online, and I’m sorrry...). In a word, I can say that people are very scared. And when I decided to make a “selfie” photo right in the middle of the field, those important figures with a phone and a folder started screaming from the other end of the field that I may not take pictures. They guys around not only confirmed their words, but also seemed like approving of them. I have always wanted to try collecting cotton. It turns out to be quite a laborious activity. My height wasn't helpful either: an unusual body position immediately caused back pain. I had to collect cotton squatting most of the time. A thought crossed my mind that I would be more comfortable collecting this cotton if I were a child. The energetic hands and arms of children—especially of physically fit ones in the countryside—would accomplish this task on par with adults, if not better. Is this the reason authorities brought schoolchildren onto cotton plantations over so many years? I didn't quite understand why the “important ones” were walking around on the field back and forth and why there so many of them that day. As it became known later, we were in for an unimaginable luck: an inspection! I asked him what would happen if he refuses to collect cotton. He said “nothing terrible” would happen except “they’d get on your nerves and do you want that?” He also claimed it was not difficult at all to come to this field like this for 10 days in row. I heard similar answers from almost every single person I talked with on the field that day. 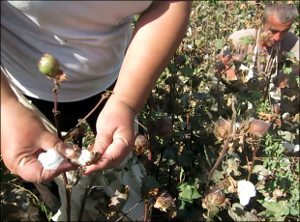 Every cotton-picker on the field is tasked with collecting 40kg of raw cotton. Women normally collect 35-37kg and say they could collect even less than that, because no one pays attention to weight shortage. I was personally able to collect 7-8kg over three hours of labour; maybe even less than that although I didn’t feel very tired. But what I can tell with certainty is that a few more hours in that body position, which slaves would find themselves in, would simply make me scream from pain. We collected our personal effects at around five o’clock in the afternoon and left the field, while everyone else remained behind bending over the cotton stem.